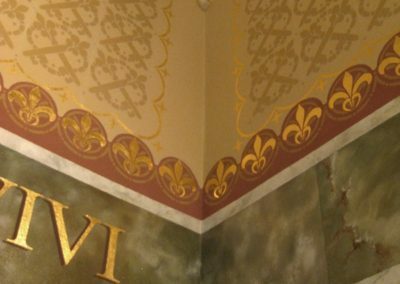 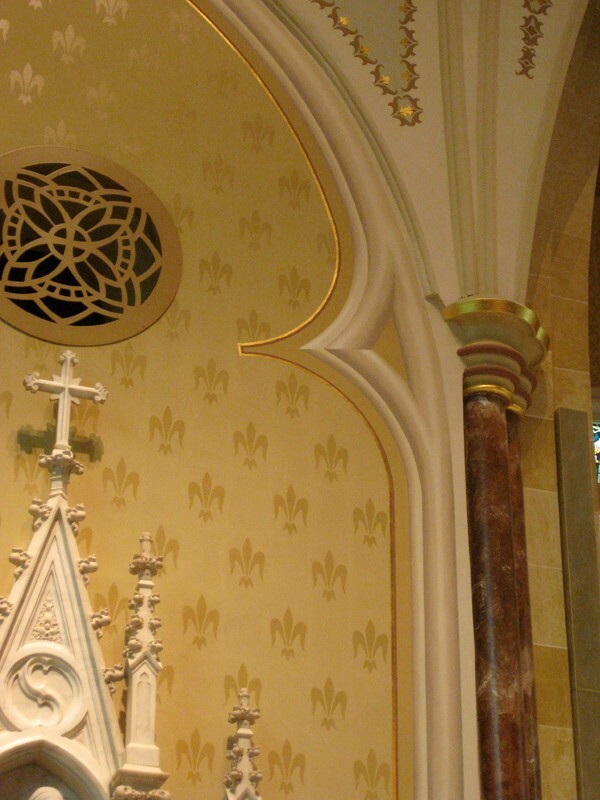 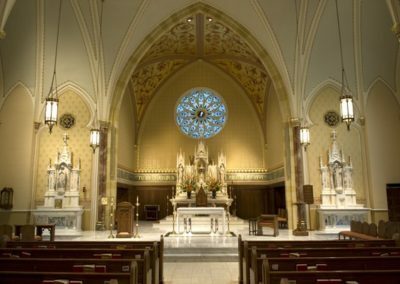 The grand vision for the restoration of the Cathedral began in February of 2005, when the parish council requested Bishop Joseph N. Latino’s thoughts on the interior restoration. 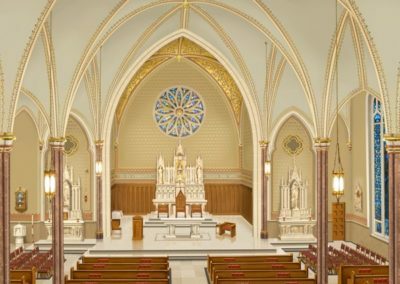 The Bishop was very interested in the project and suggested the committee contact Conrad Schmitt Studios, Inc. of New Berlin, WI. He had previously worked with the Studio when he was the rector of the Cathedral of Saint Francis de Sales in Houma, Louisiana. 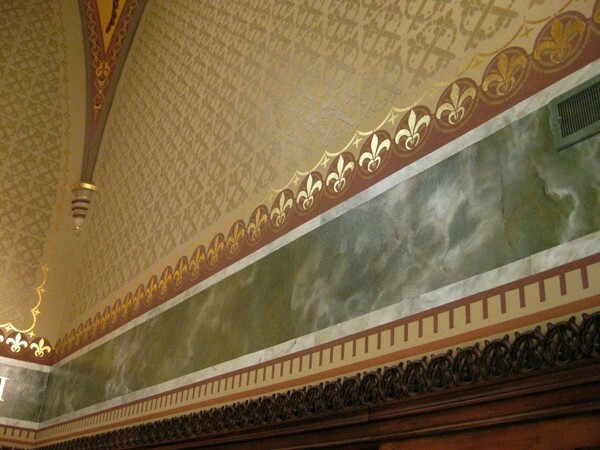 The first of several master-planning meetings ensued and in the spring of 2005, design renderings were developed to illustrate the level of detail and amount of ornamentation. 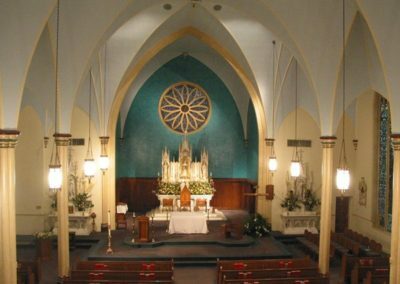 Plans forged ahead throughout the summer; then, on August 29th, 2005, Hurricane Katrina devastated the Mississippi Gulf Coast. 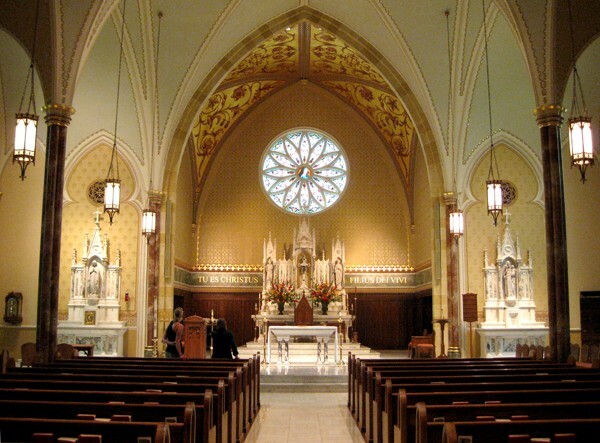 The impact of Katrina was felt as far north as Jackson and the Cathedral was not spared the hurricane’s fury. 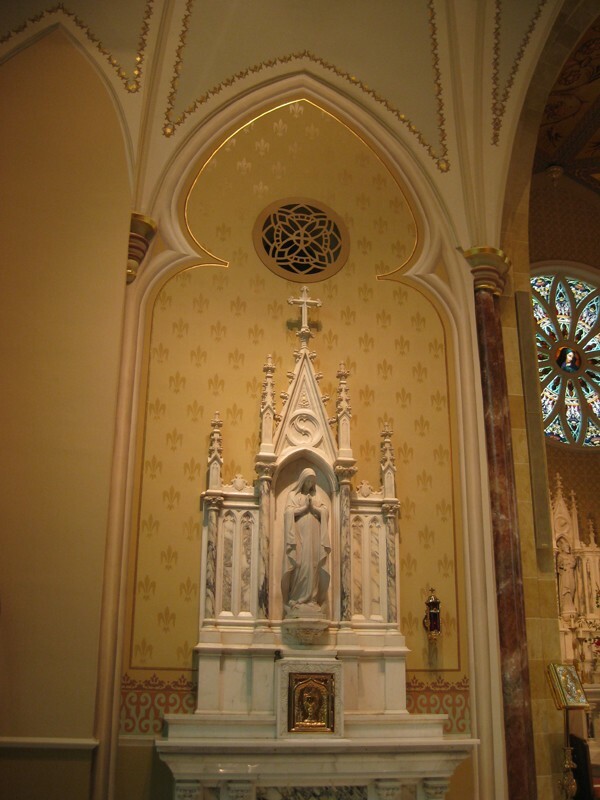 The Cathedral’s bell tower, steeple and roof were badly damaged during the 10 hours of brutal, Category 1, winds and driving rain. 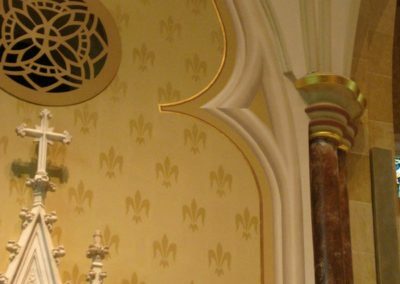 When daylight dawned, the devastation was widespread – with the sister diocese of Biloxi suffering the most horrific devastation. 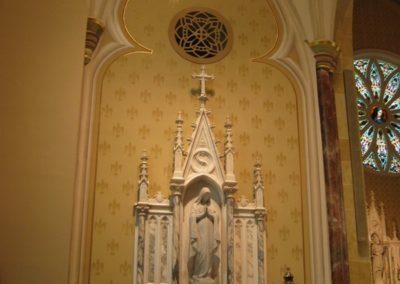 Priorities shifted to the rebuilding of the Biloxi Diocese and the Cathedral project was put on hold. 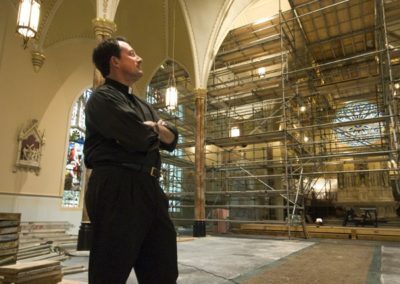 In 2009, a new rector, Reverend Jeffrey Waldrep, was appointed to the Cathedral and the restoration planning was once again in full swing. 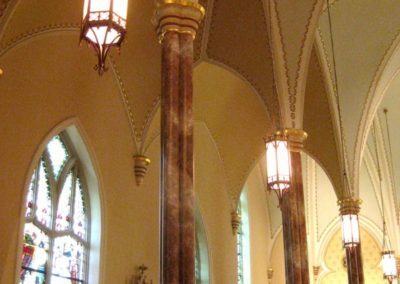 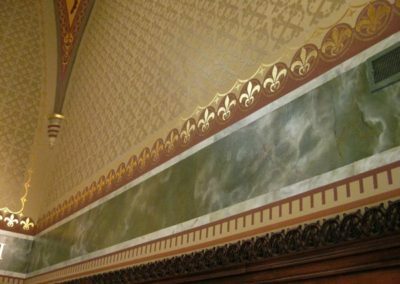 During the planning process, it was discovered that the exterior of the Cathedral was also in need of repair and Bishop Latino issued the challenge to complete the entire project in time to celebrate the Diocese of Jackson’s 175th Anniversary in 2012. 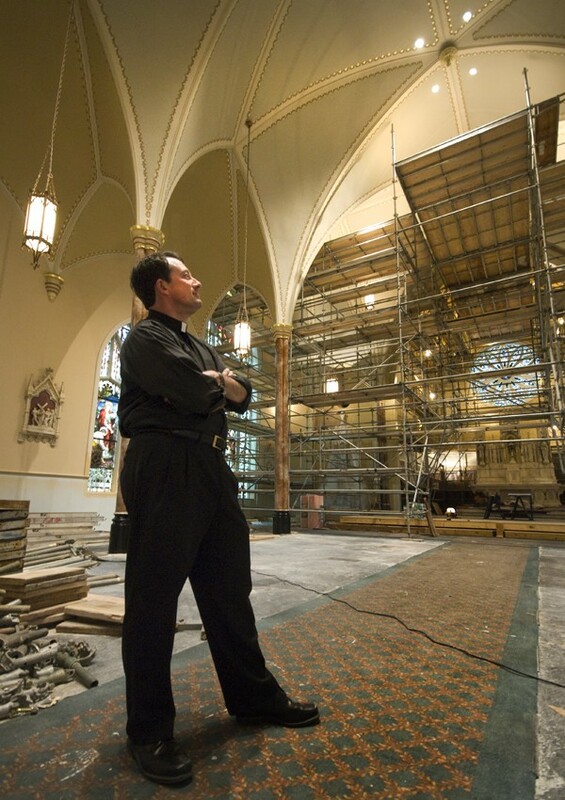 Over the course of the next three years, major structural repairs were performed on the Cathedral’s exterior. 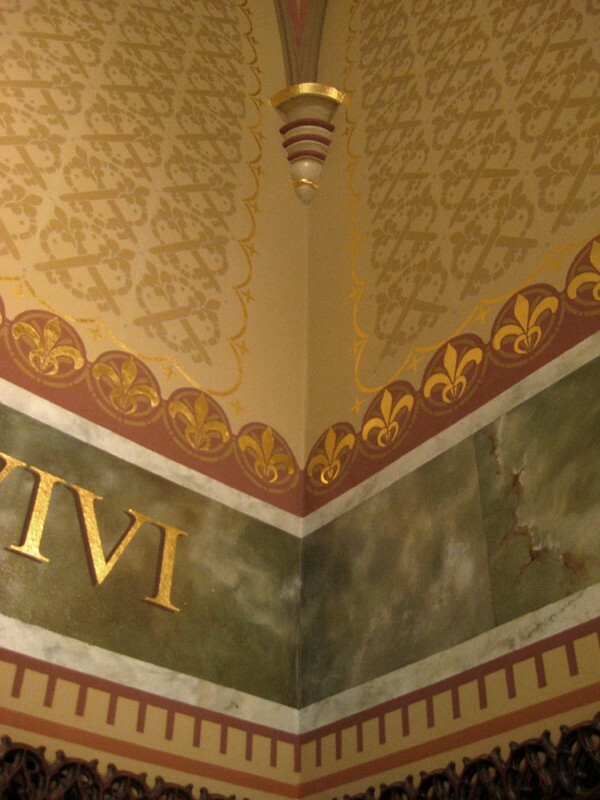 A Capitol Campaign was undertaken and in the fall of 2010, work began on the bell tower, which had not only been damaged by Katrina, but also suffered severe termite infestation. 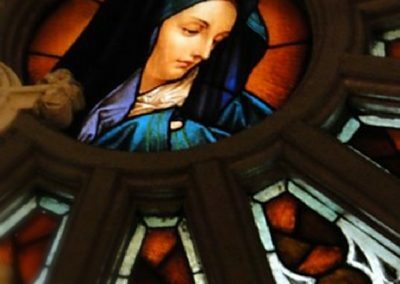 In the spring of 2011, CSS meticulously conserved one of the Cathedral’s beautiful Mayer of Munich windows, including its termite-damaged wood frame. 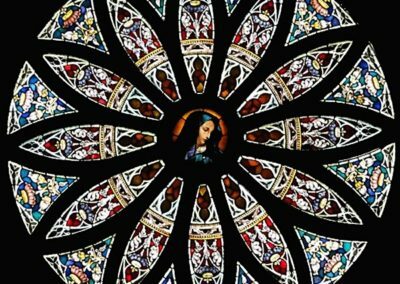 The conserved window helped to illustrate how beautiful the remaining windows could be once returned to their original glory. Moving forward with the remainder of the window conservation, the parishioners had a new appreciation for their stained glass and air-conditioning that they lived without for several months. 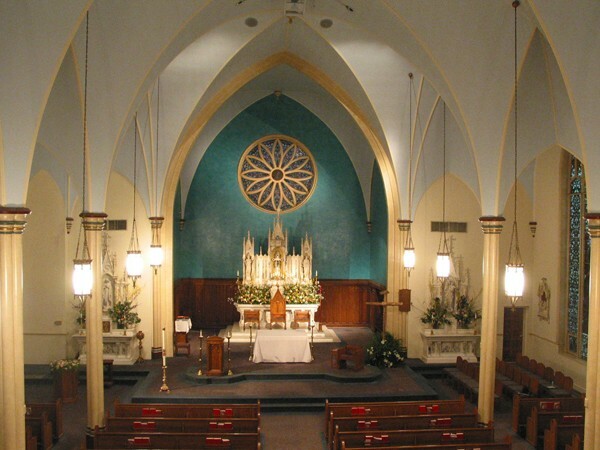 While the windows were out, each of the wood frames were inspected and termite-damaged wood was replaced. 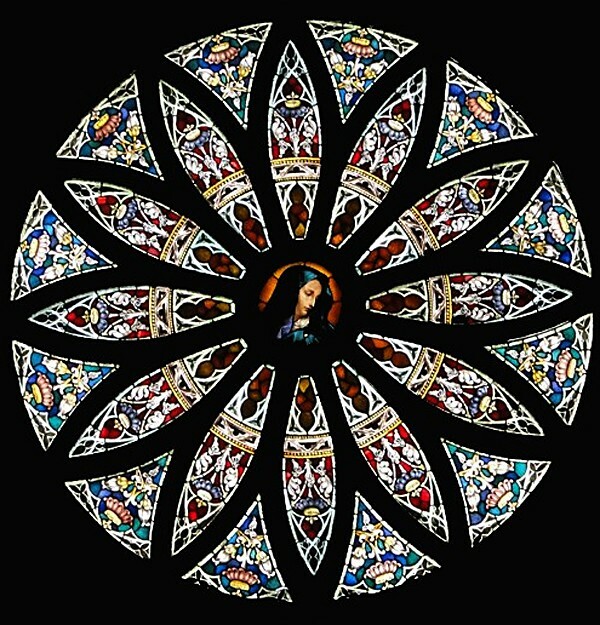 The damage to the rose window frame was so extensive that it was more cost effective to replicate an entire new frame than undertake the massive, in-place repairs. 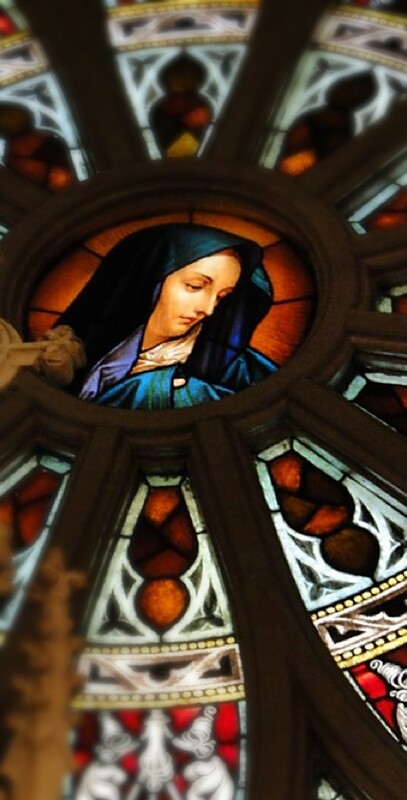 Once the conservation of the stained glass was completed, the windows were reinstalled and new ¼” safety-laminate storm glass was placed on the exterior of the windows. 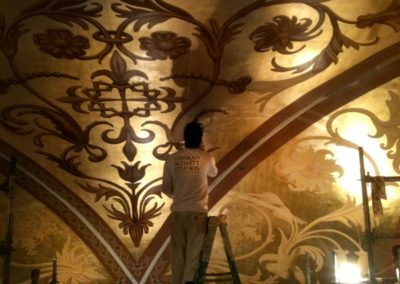 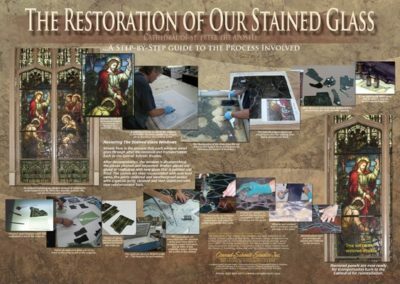 With the windows reinstalled, the Bishop, Rector and Preservation Committee looked to complete their vision for the restoration of the Cathedral’s interior decorative painting. 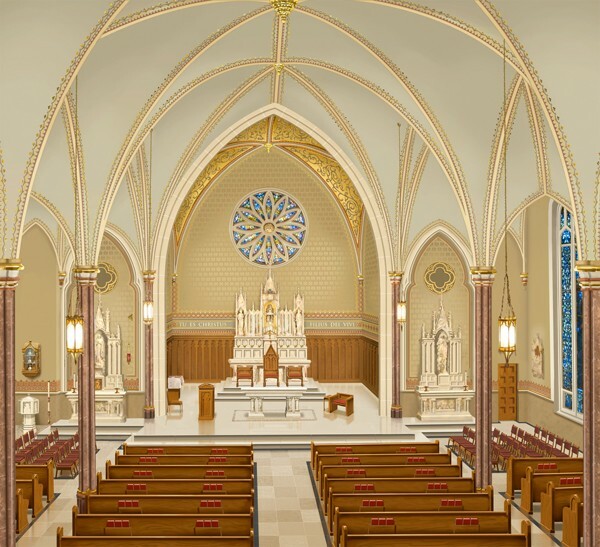 The Cathedral Restoration Committee worked hand-in-hand with Conrad Schmitt Studios to develop renderings that illustrated an integration of the interior elements that were both sensitive to the Cathedral’s architecture and respectful of the liturgical functions of the space. 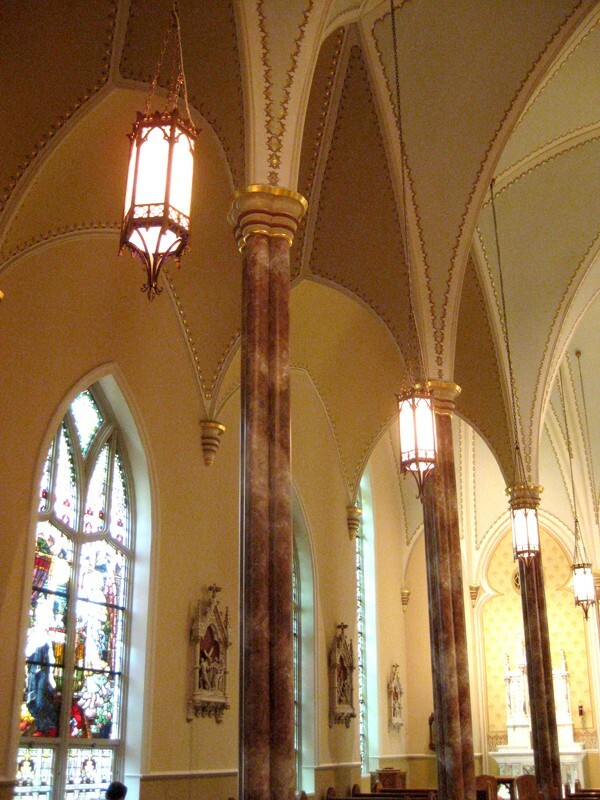 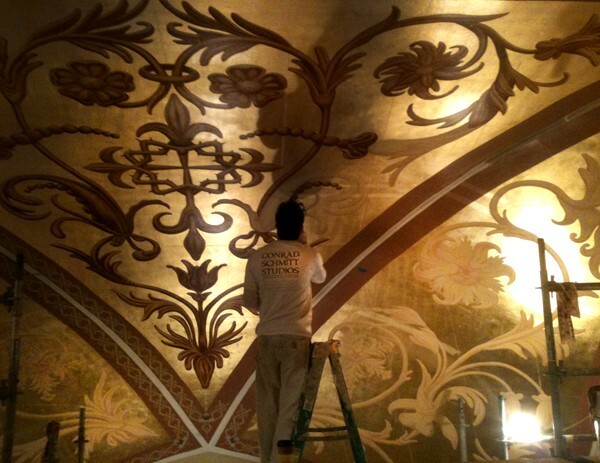 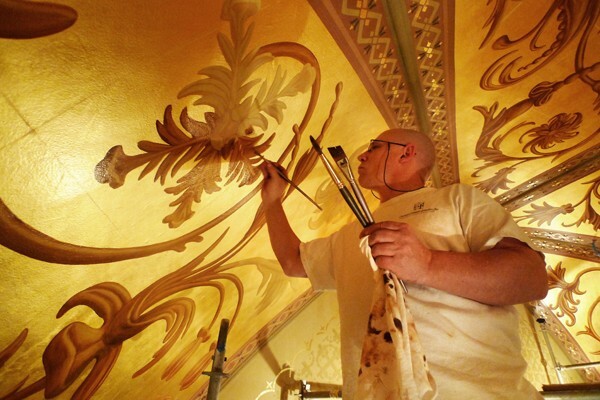 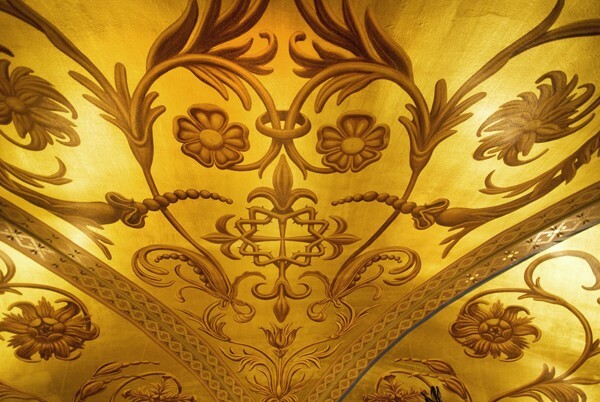 For centuries beauty and art have been an integral part of our Catholic churches. 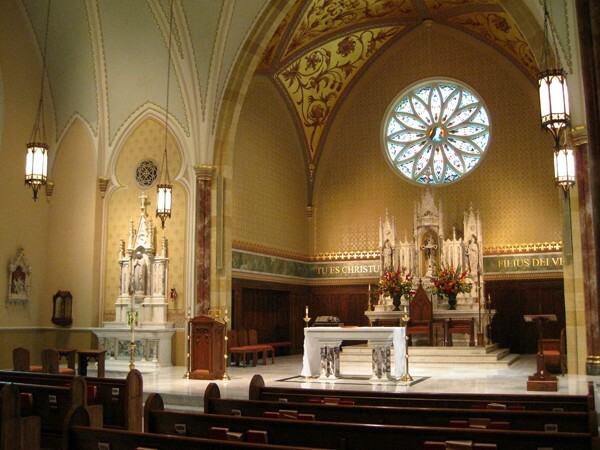 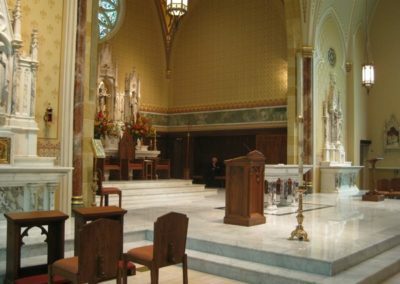 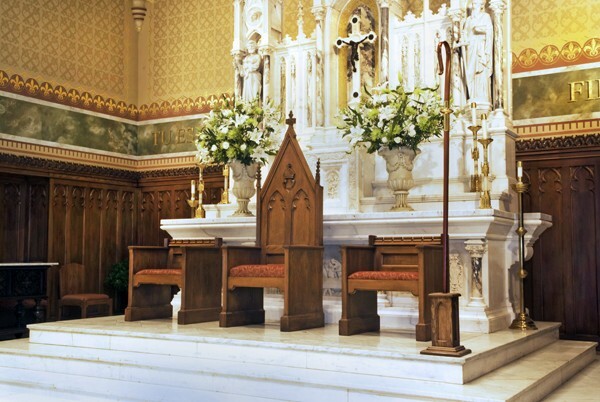 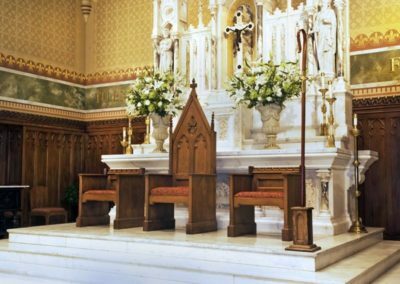 Along with the beauty of the liturgy, art and architecture in churches offer an opportunity for the individual to escape the cares of this world even for a short time. 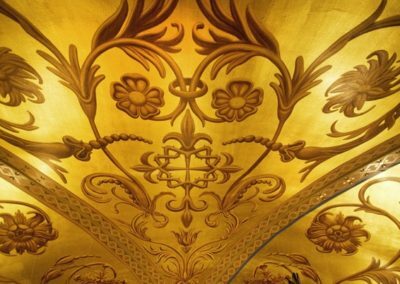 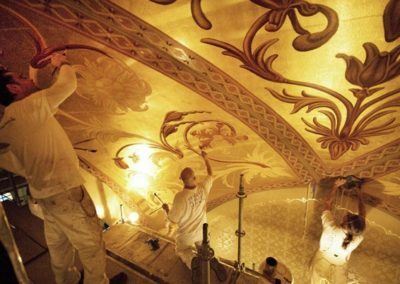 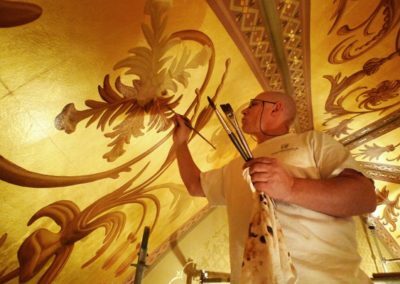 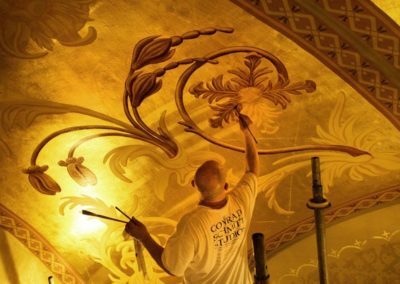 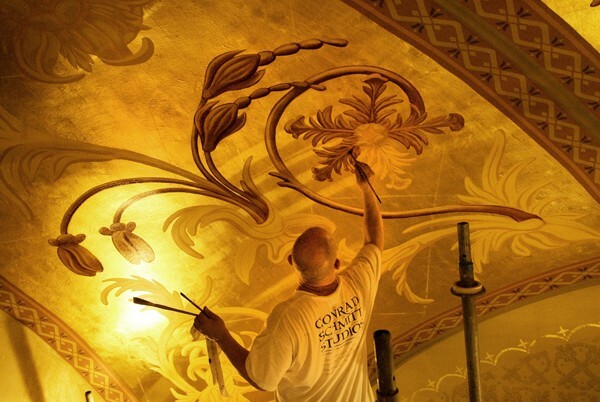 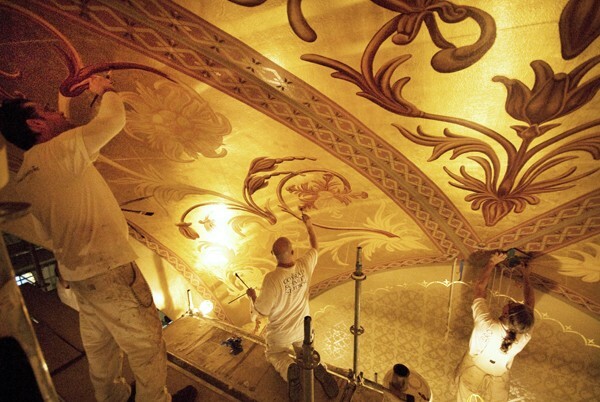 Therefore, from scaffolding workers, tile layers and electricians to artists, designers and engineers, we believe all of their hard work in our Cathedral will provide each person with a transcendent, ethereal worship experience. 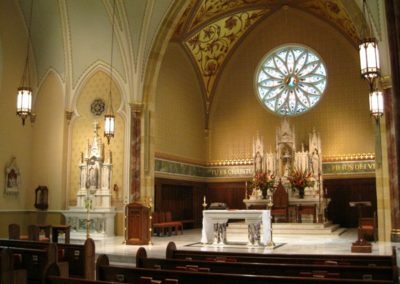 We sincerely hope through the beauty and artistry of this room and the numinous experience of the sacred mysteries celebrated here you will be swept away into the heart of God. 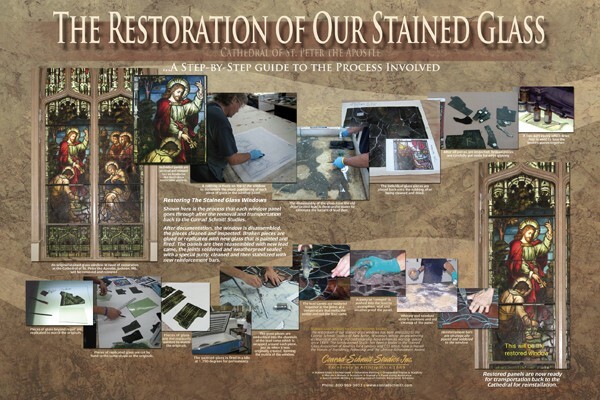 Watch a beginning view of the stained glass conservation with the removal of Mary from the center of the rose window.